While driving around in Italy a few weeks ago I stumbled across a car driven by an elderly couple that I couldn’t recognize. Once I got closer I realized it was an MK1 Volkswagen Scirocco GT. Until that moment the first series of Scirocco has never been on the map for me and I started looking around to find what’s on the market. And I then realized that today is quite hard to find one in good condition on the road. 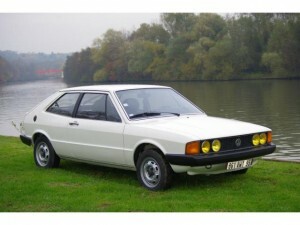 In the first half of the seventies the platform of the Golf was used to underpin the new Scirocco, although almost every part of the car was re-engineered in favour of a sportier drive, and the model’s all-new styling, penned by Giorgetto Giugiaro, was sleeker and sportier than that of the Golf. Launched six months before the Golf, in order to resolve any teething troubles before production of the high volume hatchback started, the Scirocco went on sale in Europe in 1974 and in the UK in 1975. 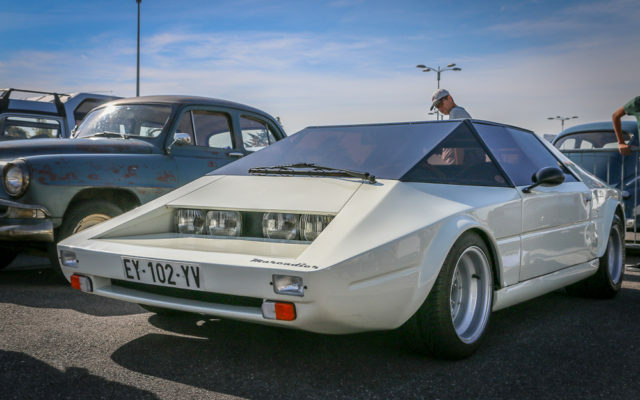 The first incarnations of the Sciroccos were driven by the new VW/Audi 1471cc overhead camshaft engine coupled with an all-synchromesh 4 speed gearbox or 3 speed automatic driving the front wheels and fuelled by a carburetor. 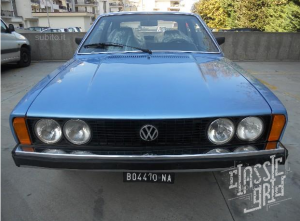 For October 1975, the engine capacity had been increased to 1588cc (the same unit used in the Golf Gti). With the price range for drivable examples starting around 4k here is our selection for this week. 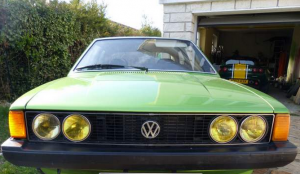 1 – 4.700 euros, from 1980 but deeply modified with a 2.0 litres engine, double weber carburator and a very very nice metallic green (which is the reason why we decided to put it in the top 5). 2 – 5.990 euros, now 4.990 euros – one owner from new, 1980 with the 1300cc engine. 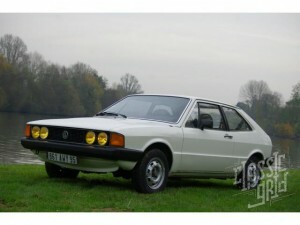 At a very intersting price and described as ‘concours’ condition this could definetely be our choice. 3 – 5.500 pounds, first year production from 1974. It’s a 1.6 litres engine (not sure it’s original) and it needs to be put back on the road because it was in dry storage since 1997. 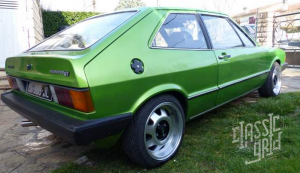 13,495 pounds, VW SCIROCCO MK1 “STORM” Edition from 1980. This example has only covered a mere 19,908 miles in its life, which is consistent with the state of the engine bay. Displaying signs of only age-related surface corrosion, under the bonnet is very tidy indeed with all plastic and rubber components showing zero signs of deterioration. Another nice feature is the chassis plate, stamped “West Germany”. The car is for sale at http://www.4starclassics.com/ that offer a superbe selection of cars over 20 years old.